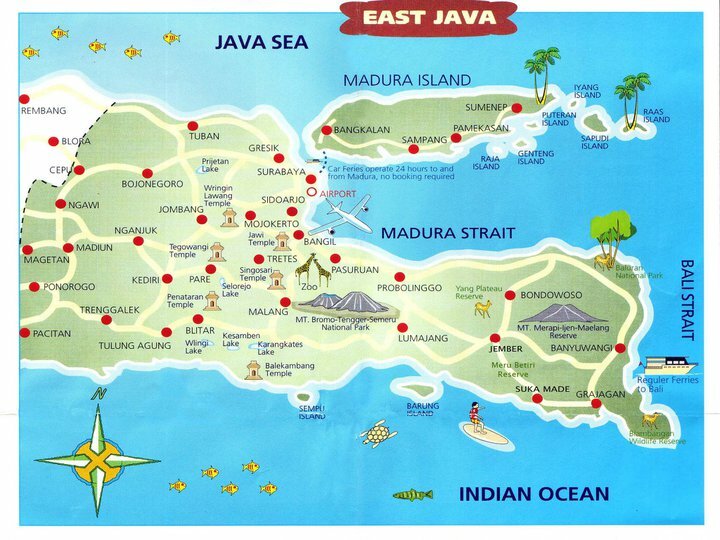 I left Surabaya and headed east. Riding a motorcycle in and out of Indonesia’s second largest city was glorious. I treasured every second, especially the many seconds spent driving through the dirt on the side of the road in order to circumvent a retarded traffic jam. Or the seconds spent dodging a head on collision because the truck driver coming from the opposite way decided that I am on a motorcycle and could not possibly be stupid enough to maintain my rightful place in a lane specifically designated for people driving in my direction of travel. After a couple of hours I arrived in Cemoro Lawang, a tiny mountain village in eastern Java. 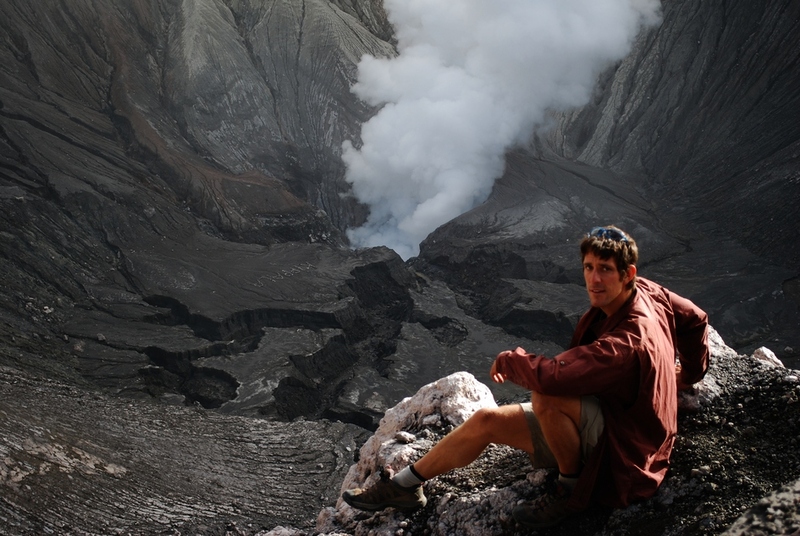 Have I mentioned the volcanoes? Thank you, sir. May I have another? This time it was Mt. 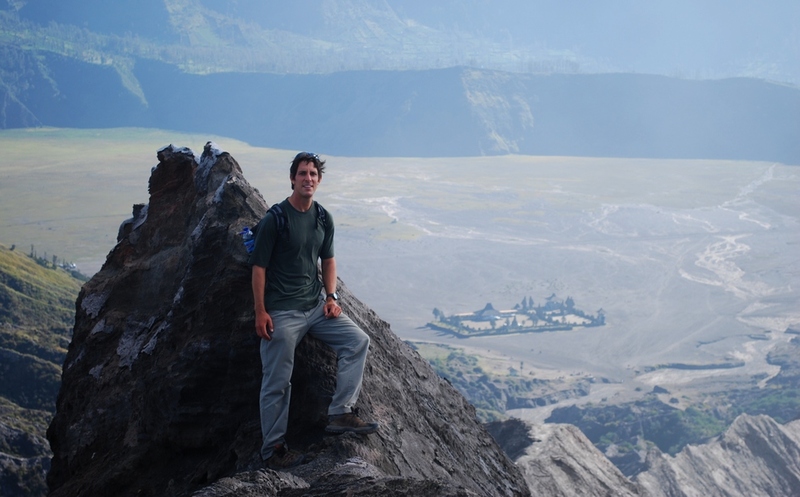 Bromo (2392m) in Bromo-Tengger-Semuru National Park. It’s so breathtaking you’ll think you’re asthmatic. 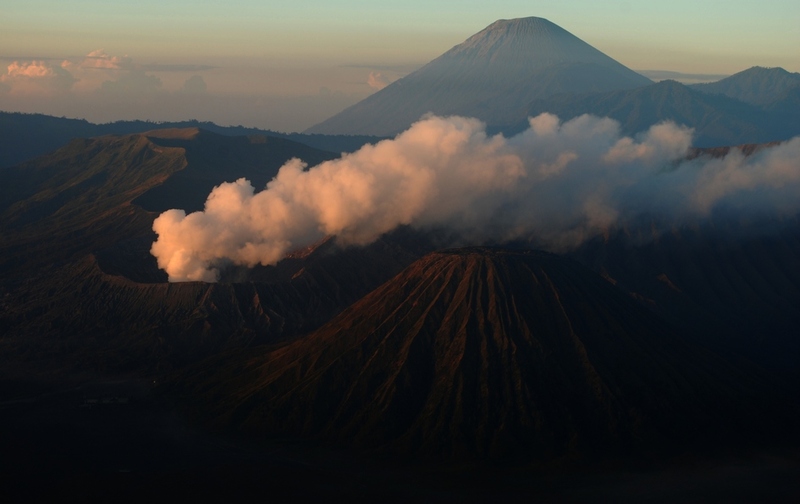 'Bromo is one of three volcanoes to have emerged from a vast crater, stretching 10km across. 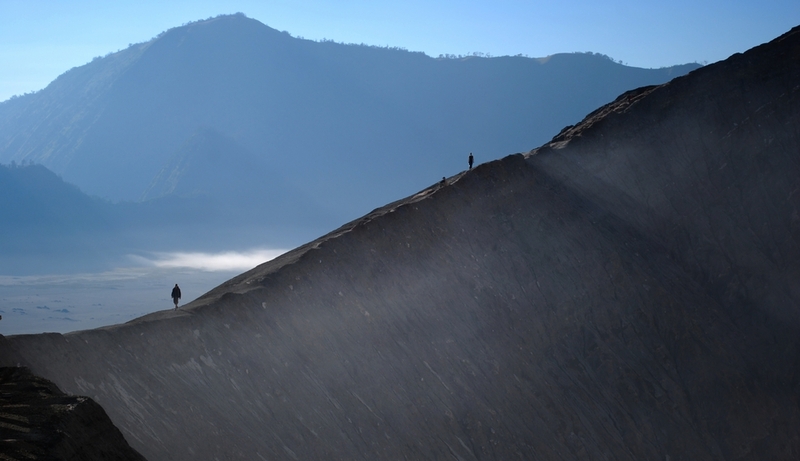 Flanked by the peaks of Kursi (2582) and Batok (2440), the steaming cone of Bromo stands in a sea of ashen volcanic sand surrounded by the towering cliffs of the crater’s edge. Nearby, Mt. 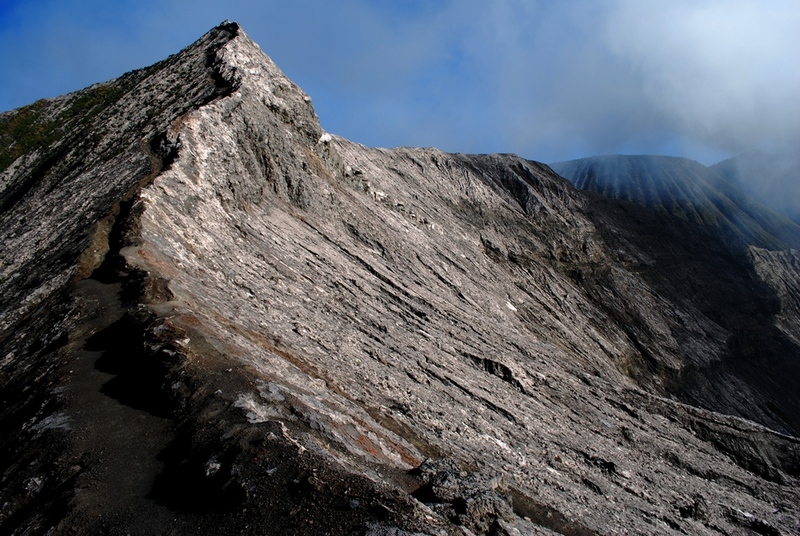 Semeru (3676m), Java’s highest peak and one of its most active volcanoes, throws its shadow and occasionally its ash over the whole scene.' See Lonely Planet. You might look at some of those pictures and think I transported myself back a couple of million years. Well, I didn’t. I did not have the luxury of such a fantasy as I had a couple of hundred tourists chirping in my ear. 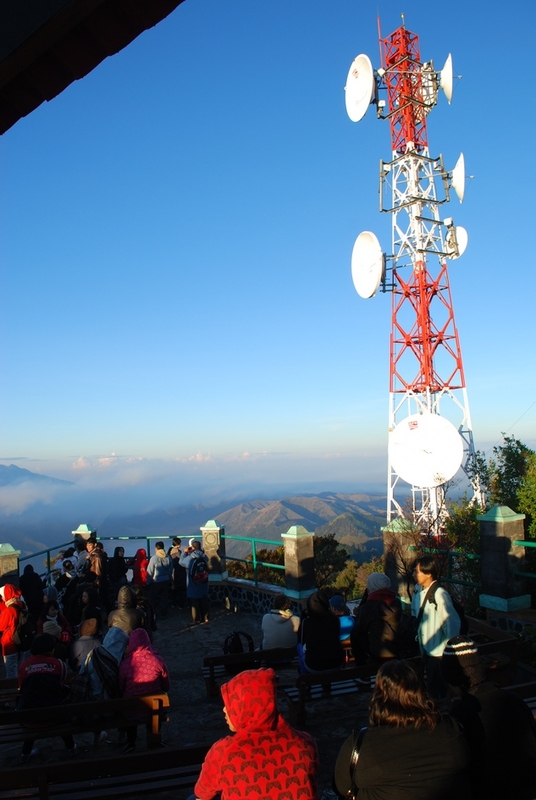 The twenty four radio antennas perched on the top of Mt. Penanjakan (our sunrise viewing location) did nothing to support the illusion either. I hate people caaauuuse people are annoying. 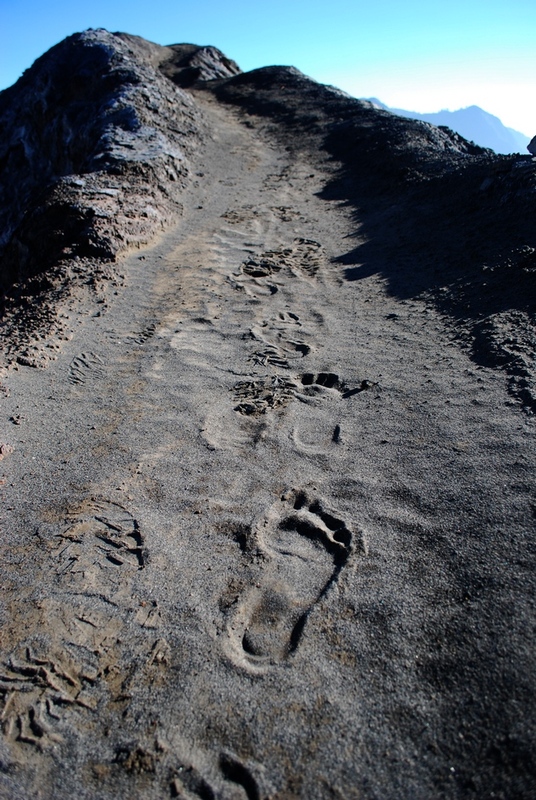 After sunrise the masses remount their four wheel drive chariots and head back across the crater to Mt. 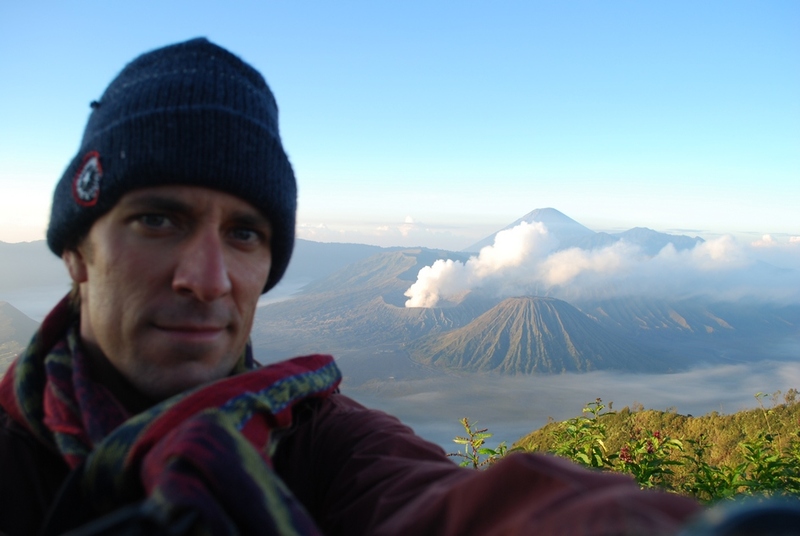 Bromo itself. A short climb later I found myself on the rim facing a magnificent scene. It really is awesome. It is possible (and advisable) to perambulate the rim in its entirety. Few folks appear to be interested so it is a good opportunity to escape the herd. Along the way you can descend a bit inside the crater (at least when I visited). You want to do this. Trust me. And while down there try screaming your balls off. 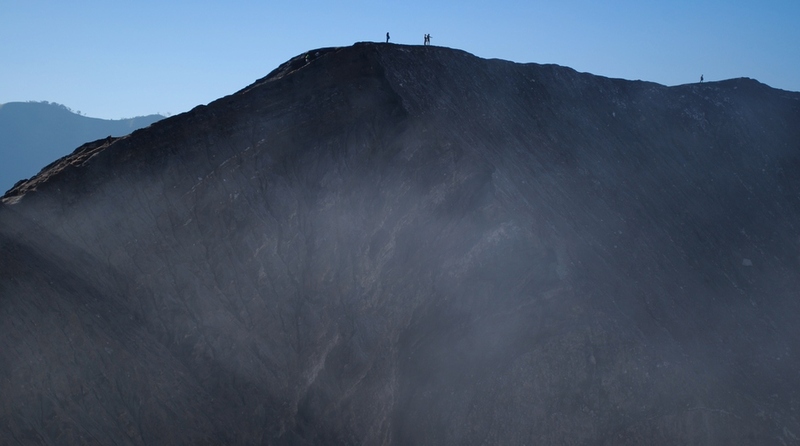 You can actually hear the echo circulate around the caldera. It was not such a fruitful experience as the clouds had rolled in by then and the high position of the sun stripped the area of color. But I think I will stick around for one more night and take another look tomorrow. I am not quite ready to leave just yet. Most folks pop into town in the evening, start the tour at 4am, and are gone by 9:30 am. Fast food tourism. I like to linger and savor. I’m a lingerer and a savorer.